Nov. 3rd: Closing Reception for "Line of Totality"
There will be a closing reception from 6-8pm on First Friday, November 3rd alongside Dia de los Muertos puppet show activities that will also be happening in the Launchpad. Come take it all in! Wednesday November 8th will be the last day to see the show. The gallery is open from 9-5 M-F and 10-2 on Saturday. A show of new work "Line of Totality" with Elliot Norquist opens Thursday Oct 12th, 2017 at Carbondale Arts' main gallery space, the Launchpad, in Carbondale. This show will highlight the abstract drawings I've been focusing on for the past year. They initially drew inspiration from geologic cross sections of rock layers. I've been using a horizontally banded organizing principle that encompasses wide experimentation in pattern, form, color, mark-making, intensity, allusion, and atmosphere. Elliot's new sculptural steel wall pieces converse well with my work as he explores perforated surfaces, "usual shapes" and similarly banded compositions, color contrasts, and reflected light. It's a good show. I hope you'll make it out. It should be up at least through November 3rd if you can't make the opening. An exhibition I curated at Anderson Ranch, "...of sifting / flowers in the gravels / at the end of the ice age," opens tomorrow evening from 5-7pm. There will be a short discussion/Q & A involving myself, visiting artist and gallery director Jose Ferreira, and Burnham Arndt, Elliot Norquist, and Sophia Dixon Dillo, the other three artists in the show. The show will be up through the 8th of December. Had my first solo show in Denver this past month--a popup in the cleared Hangar 41 architecture space at the heart of the Santa Fe Drive Arts District. It was great fun to talk to the hundreds of First Friday visitors that came through the gallery. Thanks to those who came by and those who bought work. 10 of 18 works sold. Hope to bring my work down again sometime soon! Images from this summer's issue of Aspen Magazine which featured six artists and their perspectives on and impetus for artmaking. The physical version with Aspen and the gondola in the background. Artist Chris Hassig is the man of the hour on the valley art scene, with solo exhibitions of his work filling both the Nugget Gallery in Aspen and the Wyly Community Art Center in Basalt. Across both shows, most of Hassig’s work has a personal aesthetic and visual language that’s instantly recognizable. The Nugget exhibition, “Seeing Fast and Slow,” showcases his “Grass” series — hand-drawn ink pieces that look like minimalist geometric shapes from far away, but up close reveal themselves to be made up of intricately detailed grasslike forms. The Wyly show, “Close In and Far Away,” is broader in scope, including grass pieces alongside ornate maps of an imagined city, cyanotypes and mixed-media work with hand-sewn overlays with threads running over pen-and-ink pieces and etchings. Nearly all of his work invites up-close, extended study. He has a way with baroque detail that would make Wes Anderson proud. Hassig, 27, has previously had one solo gallery show – at the Nugget in 2013 – and has had his work selected for local group exhibitions such as the Aspen Art Museum’s Roaring Fork Open. This winter, with the Nugget show opening in early March, another artist dropped out of a show at the Wyly. The Basalt gallery had been in talks with Hassig about a fall show, and asked him to move it up. Hence, Hassig is enjoying a big spring coming-out party with two upper-valley showcases. Hassig grew up in Carbondale and left home for school at Middlebury College in Vermont, and later studied printmaking in Massachusetts. He currently makes art in his free time while making a living at Bonnie’s restaurant on Aspen Mountain. Mostly self-taught, he brings an outsider perspective to his work. Hassig has drawn his whole life, he said, and spent 12 years or so filling a sketchbook with increasingly detailed drawings and maps of his imagined country of Saiopor (the Wyly show includes a massive map of the fictitious Ralesis, Saiopor, filling eight framed 24-by-18-panels, and several pieces that use pieces of Saiopor street grids). He traces the exquisite (and time-consuming) detail of his hand-drawn style to working in such small sketchbook, trying to pack as much of Saiopor as he could into its pages. The “Grass” series originated in a postcard-size drawing he made while lying in the grass, trying to capture the up-close complexity of grass. It’s evolved into a mind-boggling body of work that blends the abstract with botanical illustration and embraces the tension between them. From across a gallery, a piece might look like a triangle or a sphere or an eyeball, but up close it reveals a new world of tangled grass blades and shapes. They’re obsessively detailed up close, yet minimalist from far away. Like any ambitious artist, Hassig is focused on improving his work and finding an audience. For now, he said, the Roaring Fork Valley is an ideal locale to do both. 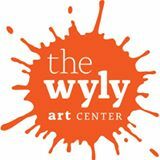 Conversation with Brent Gardner-Smith at the Wyly Community Art Center in downtown Basalt. 5:30 pm. There will be two upcoming shows of my work in March, 2015, both in the Roaring Fork Valley. The first will open on March 5th at the Nugget Gallery on the Hyman Avenue Mall in Aspen and run until April 2nd. That show will focus primarily on recent grass drawings. Reception tbd. The second opens on March 10th at the Wyly Community Art Center in Basalt, CO and will run through April 25th. The opening reception will be Friday, March 13th. "Grass #8" in May 2014, before I decided to start #9 and subsequently filled in #8's circle. "Coming to the Surface". 2013. 13 x 20 " diptych. A new phase for the grass drawings-- trying to move a bit away from some of the more pictorial aspects of the grass drawings and get more abstract. I think using minimalist shapes will provide an interesting counterpoint to the overwhelming detail. I'm having a show! Some of what you see here and other additional work will be on view beginning in the end of July at the Nugget Gallery, 415 E. Hyman Ave. in Aspen, Colo. It will overlap with the Carbondale Mountain Fair, ArtCRUSH Aspen, and Labor Day weekend, so hopefully one way or another you can make it. Mark your calendars for the opening reception on Saturday, August 3rd. Hoping to have a musical component--we'll see. Above: semi-abstract compositions using three different etched copper plates. I blocked out certain sections of each plate with newsprint as it ran through the press, resulting in a fairly unpredictable combination of all three. The three plates, each typifying a different form of urban growth (medieval, city beautiful master-planned, and suburban sprawl) are printed on their own below. News. Experiments. Throwbacks. Recycle Bin.